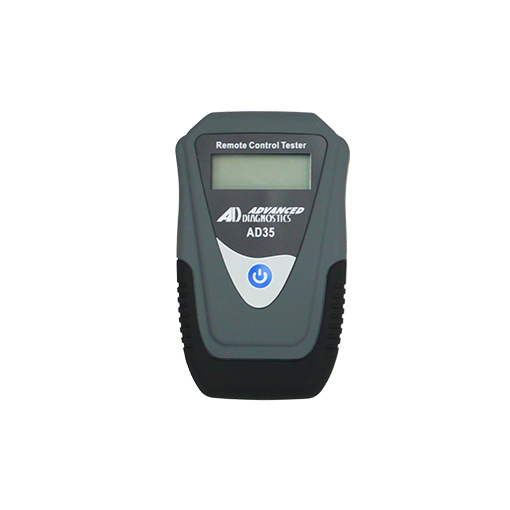 The AD35 Remote Control Tester from Advanced Diagnostics has been developed to assist with the diagnosis of all types of (IR) Infra Red and (RF) Radio Frequency remote controls. AD35 can be used on most makes and models of vehicles including boats and trucks worldwide - and is simple and easy to use. Simply place the remote control below the LCD screen and press a button on your remote key fob, a signal will be sent to the AD35 and a numeric frequency will be displayed on the LCD screen. This is essential for imported vehicles and systems, as there are various remote frequencies used across the world. By using AD35, this question can be quickly answered and will save you valuable time when diagnosing remotes. If you already have AD key programming equipment, AD35 is an essential addition for your tool kit and it will earn it’s keep within a few jobs.